Welcome to Lium, this is a new multiversion lua unlocker for your cheating needs. 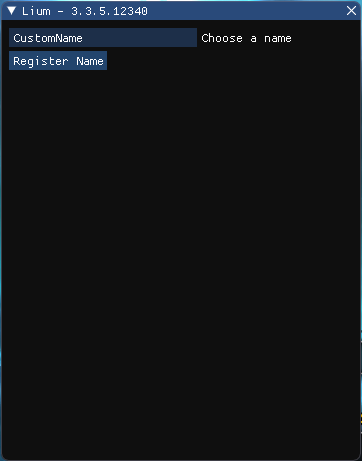 Usage is quite simple, start wow and login to your character, inject the dll with your favorite dll injector, type in a custom name in the box that you would like to use to unlock lua with, press the register button. After you have done this you can simply press F5 to hide the GUI and regain mouse and keyboard controls, if you change characters you simply need to press F5 again and press register again to re-register your lua function. P.S. I don't think there is any protected lua on vanilla but if there is let me know and I'll add it. couple tests to try (use whatever name you registered in place of "test"
Credits to tutrakan for grabbing offsets while Icesythe7 coded to speed up the process!